Our bi-monthly Community Team chat is happening this Thursday, 18 October 2018. Meeting times are detailed below. We use the same agenda for both meetings in order to include all time zones. Should WordCamp Websites Publish Sponsor-Provided Content? Meetup organizer newsletter suggestions for October? 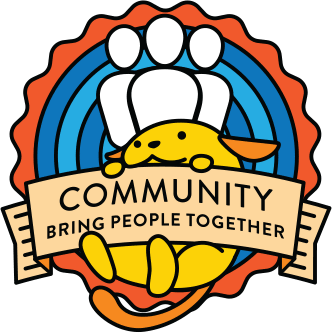 If you read the comments you will see that one of the issues that I raised is that we have a lot more WordCamp Mentors but still a lot of WordCamps don’t have one: this is why I am starting a new monthly chat for all WordCamp Organisers and I hope this will also help Mentors come together and exchange information. WordCamp organisers, old and new, potential organisers, mentors. Since we need to start somewhere, I am taking the initiative to schedule the first meeting at a time that is a bit in between: Thursday, October 25, 13:00 UTC. Our bi-monthly Community Team chat is happening this Thursday, 20 September 2018. Meeting times are Thursday, 19 September 2018 at 11:00 UTC and Thursday, 19 September 2018 at 20:00 UTC in #community-team on Slack – we use the same agenda for both meetings in order to include all time zones. As announced, all of the deputies who handle payments will be offline for the first week of October, so payments will be on hold for that time. As with payments, we will also need to make sure that we have deputies able to cover Office Hours and the Community Team Chat for 1-7 October – details here. We have a lot of meetup applications that need vetting in the new Meetup Tracker – please jump in there whenever you can.